In this brilliant work examining the foundation texts of socialism, Watson provides a powerful indictment of their reactionary, racist and genocidal ideas. There is a direct line from Marx and Engels to Hitler and the Holocaust; to Lenin and Stalin and the liquidation of the Kulaks and the extermination of the Ukrainians; to Bergen-Belsen, Buchenwald and Auschwitz, and to Kolima, Vorkuta and Karaganda. “Indeed, conservatism began, in the early nineteenth century, as a conscious attempt to undo and destroy the hated work of the new classical liberal spirit — of the American, French, and Industrial revolutions. Led by two reactionary French thinkers, de Bonald and de Maistre, conservatism yearned to replace equal rights and equality before the law by the structured and hierarchical rule of privileged elites; individual liberty and minimal government by absolute rule and Big Government; religious freedom by the theocratic rule of a State church; peace and free trade by militarism, mercantilist restrictions, and war for the advantage of the nation-state; and industry and manufacturing by the old feudal and agrarian order. And they wanted to replace the new world of mass consumption and rising standards of living for all by the Old Order of bare subsistence for the masses and luxury consumption for the ruling elite. “By the middle of and certainly by the end of the nineteenth century, conservatives began to realize that their cause was inevitably doomed if they persisted in clinging to the call for outright repeal of the Industrial Revolution and of its enormous rise in the living standards of the mass of the public, and also if they persisted in opposing the widening of the suffrage, thereby frankly setting themselves in opposition to the interests of that public. Hence, the “right wing” (a label based on an accident of geography by which the spokesmen for the Old Order sat on the right of the assembly hall during the French Revolution) decided to shift their gears and to update their statist creed by jettisoning outright opposition to industrialism and democratic suffrage. For the old conservatism’s frank hatred and contempt for the mass of the public, the new conservatives substituted duplicity and demagogy. The new conservatives wooed the masses with the following line: “We, too, favor industrialism and a higher standard of living. But, to accomplish such ends, we must regulate industry for the public good; we must substitute organized cooperation for the dog-eat-dog of the free and competitive marketplace; and, above all, we must substitute for the nation-destroying liberal tenets of peace and free trade the nation-glorifying measures of war, protectionism, empire, and military prowess.” For all of these changes, of course, Big Government rather than minimal government was required. “And so, in the late nineteenth century, statism and Big Government returned, but this time displaying a proindustrial and pro-general-welfare face. The Old Order returned, but this time the beneficiaries were shuffled a bit; they were not so much the nobility, the feudal landlords, the army, the bureaucracy, and privileged merchants as they were the army, the bureaucracy, the weakened feudal landlords, and especially the privileged manufacturers. Led by Bismarck in Prussia, the New Right fashioned a right-wing collectivism based on war, militarism, protectionism, and the compulsory cartelization of business and industry — a giant network of controls, regulations, subsidies, and privileges which forged a great partnership of Big Government with certain favored elements in big business and industry. “Something had to be done, too, about the new phenomenon of a massive number of industrial wage workers — the “proletariat.” During the eighteenth and early nineteenth centuries, indeed until the late nineteenth century, the mass of workers favored laissez-faire and the free competitive market as best for their wages and working conditions as workers, and for a cheap and widening range of consumer goods as consumers. Even the early trade unions, e.g., in Great Britain, were staunch believers in laissez-faire. New conservatives, spearheaded by Bismarck in Germany and Disraeli in Britain, weakened the libertarian will of the workers by shedding crocodile tears about the condition of the industrial labor force, and cartelizing and regulating industry, not accidentally hobbling efficient competition. Finally, in the early twentieth century, the new conservative “corporate state” — then and now the dominant political system in the Western world — incorporated “responsible” and corporatist trade unions as junior partners to Big Government and favored big businesses in the new statist and corporatist decision-making system. “To establish this new system, to create a New Order which was a modernized, dressed-up version of the ancien rgime before the American and French revolutions, the new ruling elites had to perform a gigantic con job on the deluded public, a con job that continues to this day. Whereas the existence of every government from absolute monarchy to military dictatorship rests on the consent of the majority of the public, a democratic government must engineer such consent on a more immediate, day-by-day basis. And to do so, the new conservative ruling elites had to gull the public in many crucial and fundamental ways. For the masses now had to be convinced that tyranny was better than liberty, that a cartelized and privileged industrial feudalism was better for the consumers than a freely competitive market, that a cartelized monopoly was to be imposed in the name of antimonopoly, and that war and military aggrandizement for the benefit of the ruling elites was really in the interests of the conscripted, taxed, and often slaughtered public. How was this to be done? “In all societies, public opinion is determined by the intellectual classes, the opinion moulders of society. For most people neither originate nor disseminate ideas and concepts; on the contrary, they tend to adopt those ideas promulgated by the professional intellectual classes, the professional dealers in ideas. Now, throughout history, as we shall see further below, despots and ruling elites of States have had far more need of the services of intellectuals than have peaceful citizens in a free society. For States have always needed opinion-moulding intellectuals to con the public into believing that its rule is wise, good, and inevitable; into believing that the “emperor has clothes.” Until the modern world, such intellectuals were inevitably churchmen (or witch doctors), the guardians of religion. It was a cozy alliance, this age-old partnership between Church and State; the Church informed its deluded charges that the king ruled by divine command and therefore must be obeyed; in return, the king funneled numerous tax revenues into the coffers of the Church. Hence, the great importance for the libertarian classical liberals of their success at separating Church and State. The new liberal world was a world in which intellectuals could be secular — could make a living on their own, in the market, apart from State subvention. “To establish their new statist order, their neomercantilist corporate State, the new conservatives therefore had to forge a new alliance between intellectual and State. In an increasingly secular age, this meant with secular intellectuals rather than with divines: specifically, with the new breed of professors, Ph.D.’s, historians, teachers, and technocratic economists, social workers, sociologists, physicians, and engineers. This reforged alliance came in two parts. In the early nineteenth century, the conservatives, conceding reason to their liberal enemies, relied heavily on the alleged virtues of irrationality, romanticism, tradition, theocracy. By stressing the virtue of tradition and of irrational symbols, the conservatives could gull the public into continuing privileged hierarchical rule, and to continue to worship the nation-state and its war-making machine. In the latter part of the nineteenth century, the new conservatism adopted the trappings of reason and of “science.” Now it was science that allegedly required rule of the economy and of society by technocratic “experts.” In exchange for spreading this message to the public, the new breed of intellectuals was rewarded with jobs and prestige as apologists for the New Order and as planners and regulators of the newly cartelized economy and society. “To insure the dominance of the new statism over public opinion, to insure that the public’s consent would be engineered, the governments of the Western world in the late nineteenth and early twentieth centuries moved to seize control over education, over the minds of men: over the universities, and over general education through compulsory school attendance laws and a network of public schools. The public schools were consciously used to inculcate obedience to the State as well as other civic virtues among their young charges. Furthermore, this statizing of education insured that one of the biggest vested interests in expanding statism would be the nation’s teachers and professional educationists. “One of the ways that the new statist intellectuals did their work was to change the meaning of old labels, and therefore to manipulate in the minds of the public the emotional connotations attached to such labels. For example, the laissez-faire libertarians had long been known as “liberals,” and the purest and most militant of them as “radicals”; they had also been known as “progressives” because they were the ones in tune with industrial progress, the spread of liberty, and the rise in living standards of consumers. The new breed of statist academics and intellectuals appropriated to themselves the words “liberal” and “progressive,” and successfully managed to tar their laissez-faire opponents with the charge of being old-fashioned, “Neanderthal,” and “reactionary.” Even the name “conservative” was pinned on the classical liberals. And, as we have seen, the new statists were able to appropriate the concept of “reason” as well. “If the laissez-faire liberals were confused by the new recrudescence of statism and mercantilism as “progressive” corporate statism, another reason for the decay of classical liberalism by the end of the nineteenth century was the growth of a peculiar new movement: socialism. Socialism began in the 1830s and expanded greatly after the 1880s. The peculiar thing about socialism was that it was a confused, hybrid movement, influenced by both the two great preexisting polar ideologies, liberalism and conservatism. From the classical liberals the socialists took a frank acceptance of industrialism and the Industrial Revolution, an early glorification of “science” and “reason,” and at least a rhetorical devotion to such classical liberal ideals as peace, individual freedom, and a rising standard of living. Indeed, the socialists, long before the much later corporatists, pioneered in a co-opting of science, reason, and industrialism. And the socialists not only adopted the classical liberal adherence to democracy, but topped it by calling for an “expanded democracy,” in which “the people” would run the economy — and each other. “On the other hand, from the conservatives the socialists took a devotion to coercion and the statist means for trying to achieve these liberal goals. Industrial harmony and growth were to be achieved by aggrandizing the State into an all-powerful institution, ruling the economy and the society in the name of “science.” A vanguard of technocrats was to assume all-powerful rule over everyone’s person and property in the name of the “people” and of “democracy.” Not content with the liberal achievement of reason and freedom for scientific research, the socialist State would install rule by the scientists of everyone else; not content with liberals setting the workers free to achieve undreamt-of prosperity, the socialist State would install rule by the workers of everyone else — or rather, rule by politicians, bureaucrats, and technocrats in their name. Not content with the liberal creed of equality of rights, of equality before the law, the socialist State would trample on such equality on behalf of the monstrous and impossible goal of equality or uniformity of results — or rather, would erect a new privileged elite, a new class, in the name of bringing about such an impossible equality. “Socialism was a confused and hybrid movement because it tried to achieve the liberal goals of freedom, peace, and industrial harmony and growth — goals which can only be achieved through liberty and the separation of government from virtually everything — by imposing the old conservative means of statism, collectivism, and hierarchical privilege. It was a movement which could only fail, which indeed did fail miserably in those numerous countries where it attained power in the twentieth century, by bringing to the masses only unprecedented despotism, starvation, and grinding impoverishment. “But the worst thing about the rise of the socialist movement was that it was able to outflank the classical liberals “on the Left”: that is, as the party of hope, of radicalism, of revolution in the Western World. For, just as the defenders of the ancien rgime took their place on the right side of the hall during the French Revolution, so the liberals and radicals sat on the left; from then on until the rise of socialism, the libertarian classical liberals were “the Left,” even the “extreme Left,” on the ideological spectrum. As late as 1848, such militant laissez-faire French liberals as Frdric Bastiat sat on the left in the national assembly. The classical liberals had begun as the radical, revolutionary party in the West, as the party of hope and of change on behalf of liberty, peace, and progress. To allow themselves to be outflanked, to allow the socialists to pose as the “party of the Left,” was a bad strategic error, allowing the liberals to be put falsely into a confused middle-of-the-road position with socialism and conservatism as the polar opposites. Since libertarianism is nothing if not a party of change and of progress toward liberty, abandonment of that role meant the abandonment of much of their reason for existence — either in reality or in the minds of the public. The “crisis” developed out of the failure of Karl Marx’s prediction regarding the increasing immiseration of the working class. This impoverishment of the proletariat, as the result of economic recessions, was not occurring. In fact, just the opposite was happening. Working conditions in industrial countries were improving. Standards of living and purchasing power for consumers was increasing due to the innovations and entrepreneurship of capitalism. These predicted economic recessions under capitalism, said Marx, would result because the working class is unable to buy the full product of their labors. The ruling capitalists would continue to consume all of the surplus value created by the proletariat. A proletariat or socialist revolution must occur, according to Marx, where the state (the means by which the ruling class forcibly maintains rule over the other classes) holds its tight reins. Revisionist Marxism, or Social Democracy, tried to come to terms with these contradictions of the orthodox Marxist faith, and put forth a program of adaptation and revision we have come to call “the welfare state.” In contemporary America, these are the neoconservatives goosestepping behind Bush and the Republican party, and the progressives marching in lockstep behind Obama and the Democrats. Marxism/Leninism, or Bolshevism, ignored these inherent contradictions, and put forth a program for the seizure of power by a revolutionary vanguard elite acting in the name of the people (“the Dictatorship of the Proletariat”); Fascism, emerging explicitly from the far left-wing socialists during this “crisis of Marxism,” combined elements of syndicalism and elite rule, and put forth a program of revolutionary populism and nationalism, which over time once established in power, became known as “the Corporate State,” or corporatism. And finally, National Socialism. 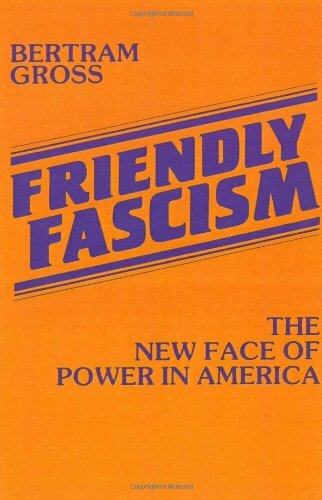 George Watson, in his The Lost Literature of Socialism, has an intriguing chapter on Adolf Hitler, where he cites evidence from published accounts of Hitler’s private conversations and remarks to confidants and followers such as Hermann Rauschning and Otto Wagener, that National Socialism was based on Marx. His version of socialism based upon nationalism and race would unify Germans and be successful. Communism, based upon internationalism and the class struggle, only sought to divide and would consequently flounder and fail. Both socialist visions had a common enemy, the bourgeois individualism and classical liberalism of democratic capitalism. National Socialism was the true expression and fulfillment of the Marxian vision. Watson refers to a seminal article by Friedrich Engels, “The Hungarian Struggle,” published by Marx in January, 1849 in his journal, the Neue Rheinische Zeitung, where Marx’s valued collaborator and financial angel explicitly calls for the genocide of Serbs and other Slavs, as well as Basques, Bretons, and Scottish Highlanders. 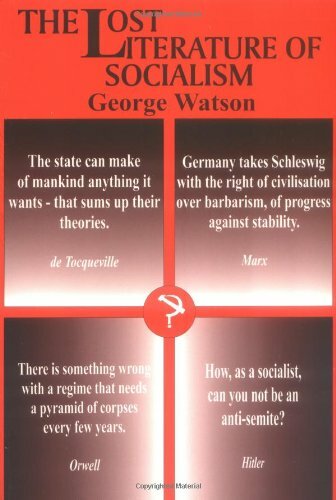 “The Marxist theory of history required and demanded genocide,” Watson observed, “for reasons implicit in its claims that feudalism, which in advanced nations was already giving place to capitalism, must in turn be superseded by socialism. Entire races would be left behind after a workers’ revolution, feudal remnants in a socialist age; and since they could not advance two steps at a time, they would have to be killed. They were racial trash, as Engels called them, and fit only for the dung-heap of history.” Another excellent volume exposing these racist, imperialist and genocidal ideas of Marx and Engels is Nathaniel Weyl’s Karl Marx: Racist. What we are fighting against is the corroded, diseased vestige of reactionary ideas of two centuries ago, ideas which have brought untold death, destruction, and misery to millions. We must never fail to point out to our adversaries this central fact. Never concede, never retreat, never surrender. This originally appeared on StephenKinsella.com.